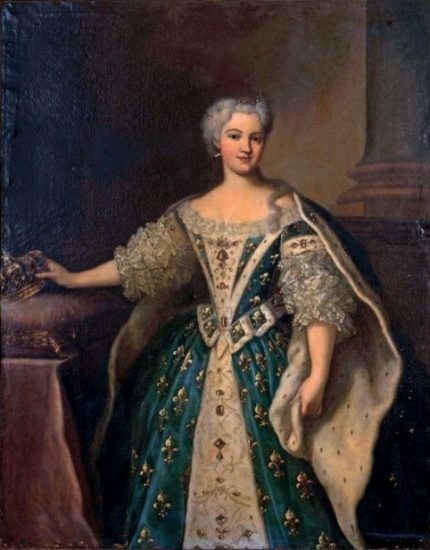 Marie Leszczyńska was born on 23 June 1703 as the daughter of King Stanisław Leszczyński, Stanislaw I of Poland, and Catherine Opalińska. Her father’s reign as King of Poland lasted just four years, and the loss of his Kingdom was compensated by giving him the administration of the Duchy of Zweibrücken. On 2 April 1725, a letter arrived asking for Marie’s hand in marriage. She underwent a medical examination to rule out epilepsy. She suffered from pains from spending a great deal of time on her knees in prayer. Even gynaecological information was provided.3 The couple were married in person in the chapel of the Palace of Fontainebleau on 5 September 1725. 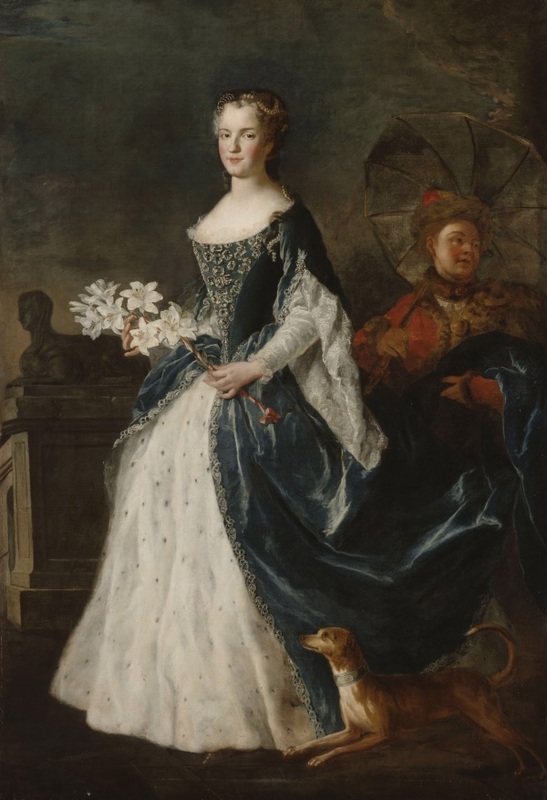 She gave birth to a Dauphin on 4 September 1729 and a shortlived Duke of Anjou in 1733. A total of eight daughters were born between 1727 and 1737. 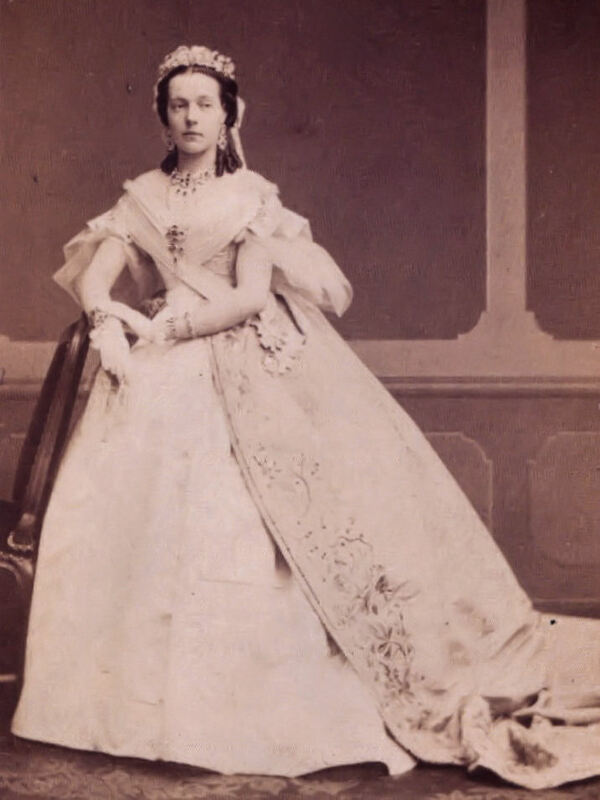 After that, conjugal relations between Marie and Louis ended.4 By that time, she had already gotten used to having his mistresses at court. From 1745, she was eclipsed at court by Madame de Pompadour. She never managed to develop any political influence, probably due to her low-born status and lack of a power base at court. She died on 24 June 1768 at the age of 65, and she was buried in the Basilica of St Denis. Do you know where I could find an online/downloadable copy of Clarissa Campbell-Orr’s book? Since it’s out of print none of my local bookshops/libraries have it in stock. Sorry, no idea! I had to use interlibrary loaning to get it as well.